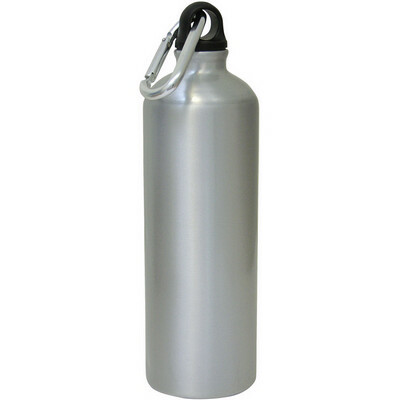 600ml bottle with painted outer finish. lightweight and strong construction. Screw top lid with aluminium carabiner. Product Size: 270 x 80mm. Product Packing: Boxed. Decoration Size: 35 x 60. Decoration Position: Bottle. Decoration Method: Pad Print | Laser Printing. Carton Quantities: 25. Carton Size: 40 x 40 x 25. Carton Weight: 4. Colour: Silver. Price includes : Pad Print 1 Colour / 1 Position. Setup is included. Too busy to browse? Request a 'Quick Quote' here.